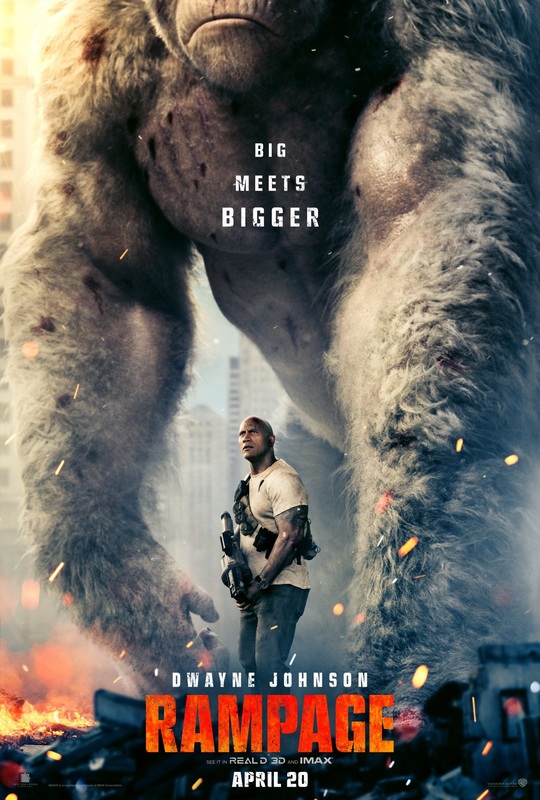 This is a new IMAX poster for Rampage, the new film based on the ‘80s video game. 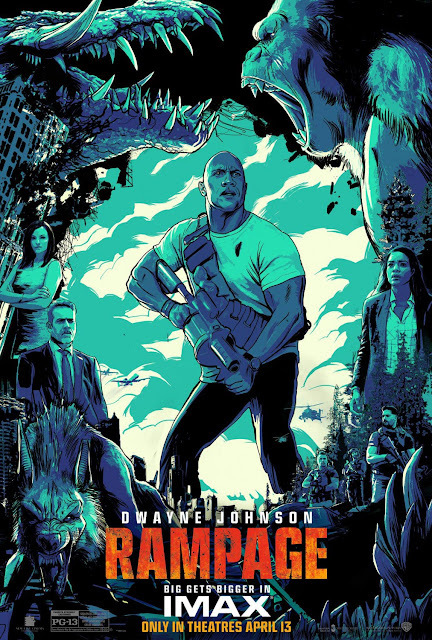 It was written by Ryan Engle and Adam Sztykiel, directed by Brad Peyton (San Andreas), and stars Dwayne Johnson, Naomie Harris (Moonlight), Malin Akerman (Billions), Jake Lacy (Girls), Joe Manganiello (True Blood, Magic Mike) and Jeffrey Dean Morgan (The Walking Dead), P.J. Byrne (Final Destination 5), Marley Shelton (Solace), Breanne Hill (San Andreas), Jack Quaid (The Hunger Games: Catching Fire), and Matt Gerald (Daredevil). It hits theaters on April 13th.